This topic contains 3 replies, has 4 voices, and was last updated by Bang tidy 1 year, 4 months ago. In the past year or 2 we have heard this quite a lot, clients coming to us saying they went to a clinic or practitioner that persuaded them they are the best in the world, will give them a natural looking treatment and can do it cheap, Sounds great right? Sadly Skalp have to fix nearly as many treatments from other clinics as we get new clients. 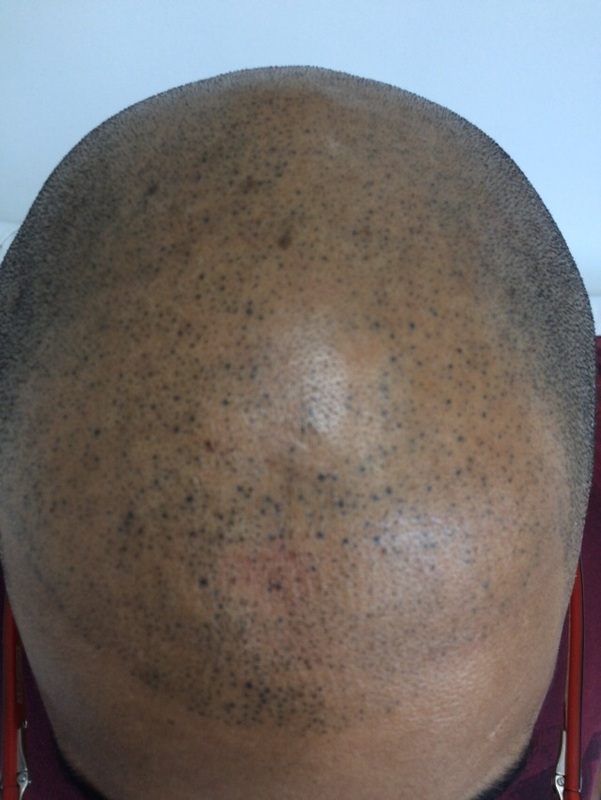 In the last few years there has been an explosion of new clinics offering Scalp Micropigmentation and almost the same amount of clinics offering training. Firstly there is only one reason a clinic would offer training and it isn’t because they are lovely people and want to share their skills they have just learnt with you, it is because they don’t have enough actual clients to have a busy clinic and the only way to keep the business going is to charge people to train. 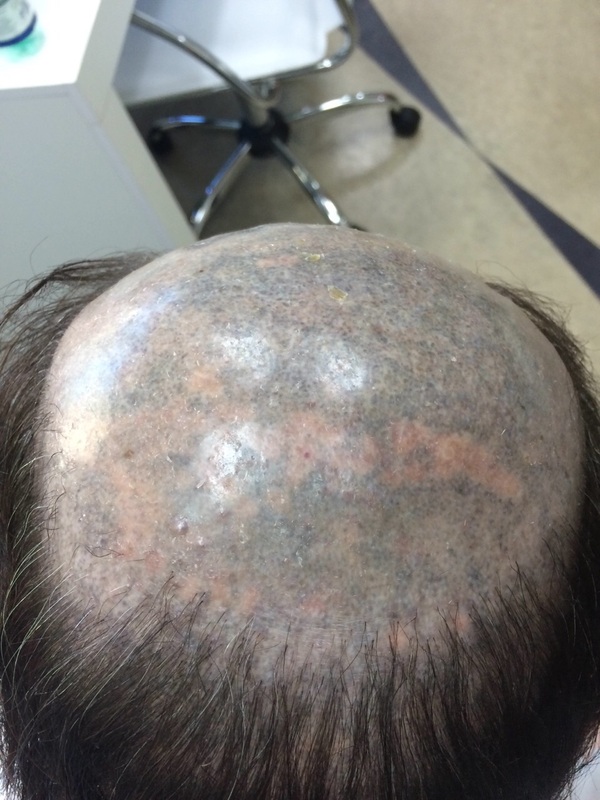 We know a lot of people look at this treatment and think that looks easy enough all you’ve got to do is some dots and it will look like a shaved head. Unfortunately that is not the case, we’ve seen tattooists and permanent makeup specialist give it a go over the years with disastrous results, then admit it is the hardest form of tattooing or permanent makeup they have come across. This treatment is highly specialised and requires months of training to even become competent at the treatment, Skalp have never considered offering training for one main reason. Our standard training programme for a new practitioner is 3 months long and that is just to cover all the basics from colour matching/density/hairline shape and style/scar camouflage etc, So the companies offering a 5 day course or shorter are setting these trainees up for disaster and then letting them loose on clients heads. Then there are companies that offer online training courses which is a very scary thought, would you want to go to a tattooist, doctor or dentist that has just watched a few online training videos? I didn’t think so! A lot of clinics also use standard tattoo equipment and Ink, We know why it’s because they are a fraction of the cost of a real Scalp Micropigmentation equipment, If the clinic you have visited is using anything that resembles a Tattoo machine or gun we would advise to run a mile, all the equipment Skalp use is designed for SMP, the needles are a lot smaller than standard tattoo needles and pigment is designed solely for SMP. 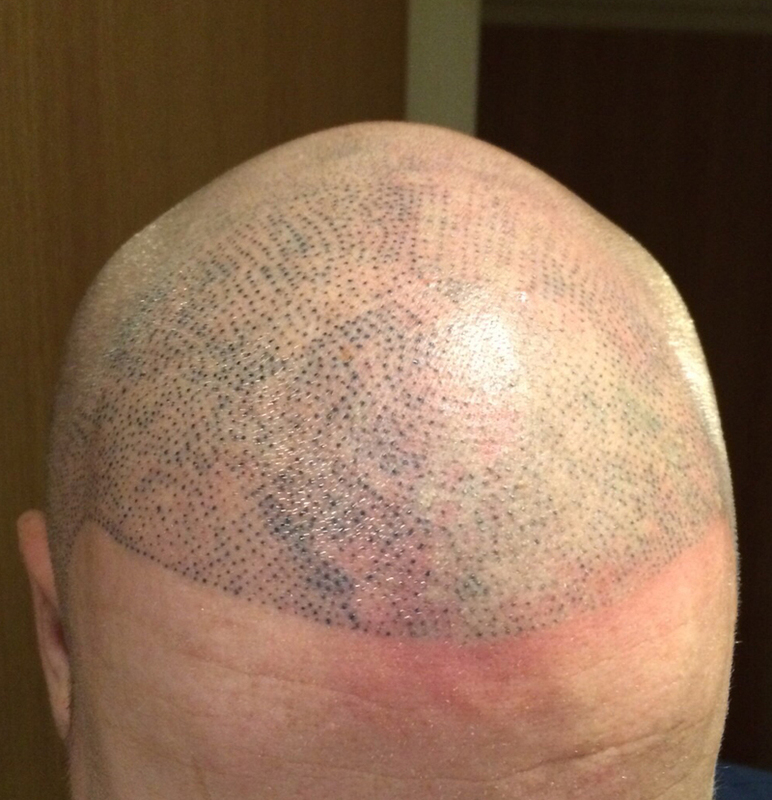 If you’re looking to save some money buy a cheaper TV or fridge freezer don’t buy a cheap head tattoo, you will end up paying for it in the long run with either laser removal or having to come to Skalp to fix it. Like anything in this world you pay for what you get and i’m sure nobody wants a cheap looking head tattoo. There is a reason Skalp have an unrivalled reputation in this industry and that’s because all of our practitioners are trained up to 10 times longer than other clinics, all of our practitioners have had the treatment themselves so know how important it is to get the result you want and won’t let you leave until you are 100% happy and we have thousands of happy clients to prove it. Here are some examples of clients coming to us after going for the cheap option. Even some of the other supposed top companies turn out treatments almost as bad as this because of this 2 day training courses, I almost ending up with a result like that before i found skalp.